Age of Chance were a British alternative rock-dance crossover band from Leeds, England active from 1985 to 1991. They were perhaps most known for their mutant metallic cover of Prince's "Kiss" which topped the UK Indie Chart in 1986, and peaked at #50 in the UK Singles Chart in January the following year. Despite signing for major label Virgin, and being favourites with the UK music press, they never enjoyed a major hit in the UK, although "Don't Get Mad… Get Even" reached #5 in the US Billboard Hot Dance/Club Play chart. Musically they were a sonic collision of punk, hip hop, industrial rock and Northern soul. Steven E provided a distinctive strident nasal vocal style, often employing a megaphone. 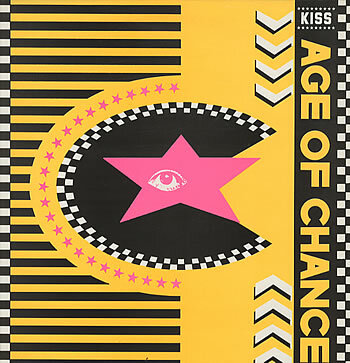 Striking cover art visuals were a collaboration between the group and The Designers Republic, who would go on to graphic design fame. They were contemporaries of Pop Will Eat Itself, whose music also featured rock guitar, dance beats and copious samples, and other early UK samplist groups such as Coldcut and The JAMMs.